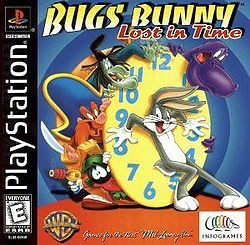 The story focuses on Bugs being sent was from his timeline after he ran into a time machine and played it without permission. Now he has to travel to other time lines and thus recover all the golden watches so he can return home. The gameplay is quite interesting for a PS1 game, and the areas and levels are unique in their way. It is a game of ingenuity that tests your ability to understand the environment and use it to your advantage. Play as Bugs Bunny in the Stone Age era. Collect carrots for health, golden carrots for suprises and clocks to get Bugs back to modern day. A brief demo of one of the earliest levels. Basic in gameplay with simple platforming and exploration. Use Bugs's ears as helicopter blades, kick baddies, jump on dinosaur heads, dive into holes. Simple but fun. Now you can add videos, screenshots, or other images (cover scans, disc scans, etc.) 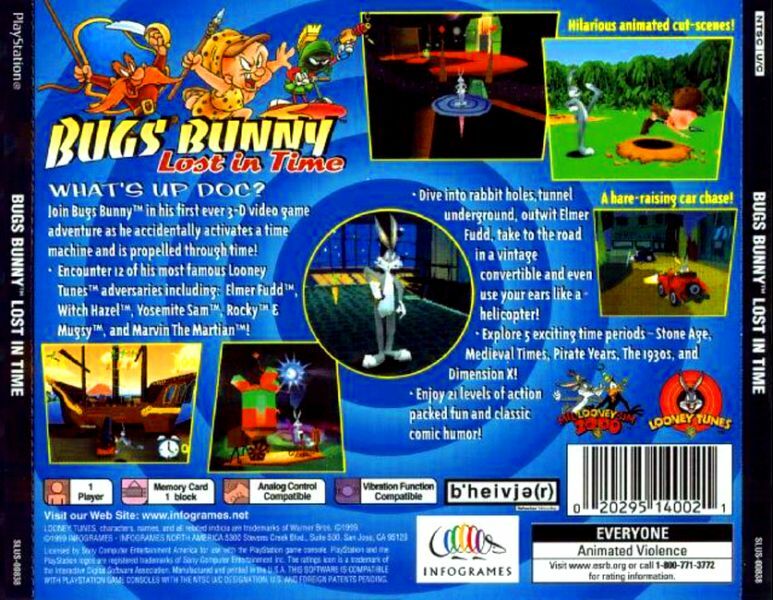 for Bugs Bunny Lost in Time Demo [U] [SLUS-90058] to Emuparadise. Do it now!